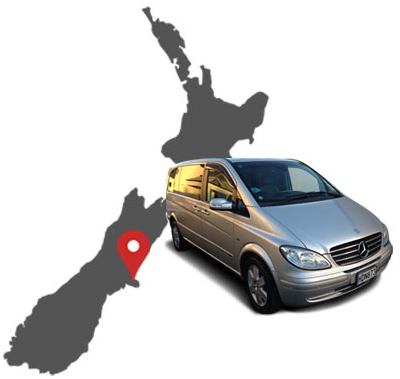 Christchurch Touring Company specialises in small group tours, luxury charter services, cruise ship excursions and exclusive airport transfers in Christchurch City, Canterbury and the surrounding regions – including Kaikoura, Akaroa and Banks Peninsula, Hanmer Springs and further afield. During a one or two day visit, you can sample a wide range of experiences – and with your professional guide at the wheel, you can relax and make the most of your time. If you can stay longer, you can delve further into walks, adventure activities, wine and cuisine trails, or learn more of the local craftspeople. Your interests, your time-frame, your pace… your Canterbury! 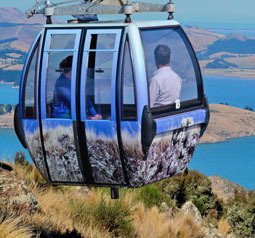 Canterbury has a great diversity of things to see and do, including wineries, markets, marine wildlife, thermal pools, history, cosmopolitan cuisine and stunning landscapes at every turn. 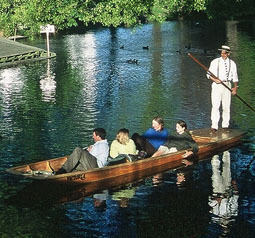 In any season Canterbury is spectacular, with rivers, mountains and coastline to explore. Rich farmland and stunning vistas greet you around every corner. Art, food, adventure activities for your children, whatever your special interest we can design a tour that uncovers a special aspect of Christchurch or Canterbury. In a sheltered harbour with rich marine wildlife and French history, a day here will enliven your senses and educate you about our precious Hector’s Dolphin. A rare opportunity to swim with these gentle creatures. 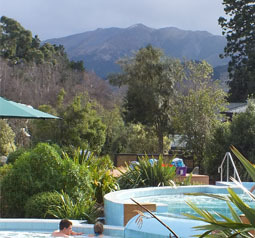 Just 90 minutes from Christchurch relax in these award winning thermal pools, be pampered with a massage. 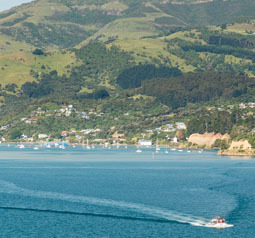 This is also a centre for adventure activities such as jet boating and bungy jumping. Where the mountains meet the sea the marine wildlife abounds, whales, dolphins, albatross and seals. 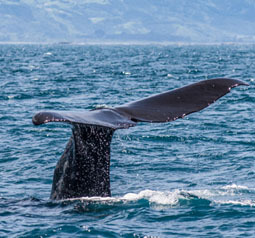 Enjoy them from a boat ride or a flight to appreciate the size of these magnificent creatures. Historic , rejuvenated , a city in transition – Christchurch has many faces and many layers awaiting the visitor. A walk through the gardens, a punt ride on the Avon River, a scenic ride up the Gondola to view the plains, ocean and mountains, gothic architecture being carefully restored , there is something for all ages. 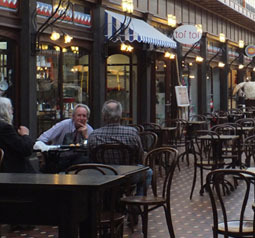 Canterbury is home to many artisans and craftspeople who gather at weekly Farmer’s Markets and galleries. Taste local produce and purchase handmade crafts made from local materials. 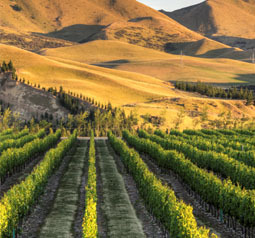 Canterbury soil produces great grapes and we are proud to share with you some award winning wineries in the Waipara Valley and Selwyn District. 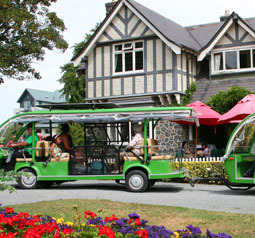 Dining out in Christchurch is fun and varied, ask for our recommendations and assistance with bookings.